The baked goods market is constantly growing in Europe and other parts of the world, such as Asia. The reasons are to be found in the extensive product range with prices within reach of all budgets, practical consumption in tune with the hectic pace of everyday life, and the attention of manufacturers for healthier recipes. Further market share increases will derive from constant innovation involving new trends in taste and ingredients, healthier bakery goods – such as products without trans fatty acids, multigrain and whole-grain products – that are low-fat, enriched with vitamins of bio-based, as well as functional gluten-free and sugar-free products. Tasty delicacies continue to keep a significant market share. Bread still is the most commonly consumed product worldwide, in spite of the future rapid expansion worldwide expected for cakes and sweets, especially in Latin America and in the Asia Pacific region. Europe is the largest baked goods market of the world, while the Asia Pacific region is the faster growing one due to various issues, such as exponential growth of population; low prices of these foods compared with other products; and ever-increasing incidence of westernized lifestyles. Even improved transports and logistics, and fast-growing stores contribute to the expansion of the baked goods market. The global growth of the baked goods market is also based on research of new ingredients that deliver high performance, are healthy and natural, and on production technologies that make these foods more enjoyable. The Research departments of manufacturers of raw materials and technological aids for the baked good industry are constantly researching in order to locate new natural emulsifiers and adjuvants, in some cases even certified organic products, instead of synthetic ones. Some originate from sunflower or soybean; and acting on the activity of water, they uniformly hydrate the dough and make it smoother and tougher. The resulting baked goods are more stable, soft and crumbly, with a longer shelf-life. One of the problems of baked goods is that they become stale: and ingredient manufacturers are devising various solutions, some of which already are in place, while others are still experimental. It is possible to take action on various fronts. One method consists in maximizing the volume by adding ingredients such as gluten, milk, yoghurt, in order to obtain more expanded and smoother products. Milk proteins can be used to improve the texture, as their functional properties are similar to those of gluten. By adding sodium chloride to the dough, it is possible to increase the dough porosity after baking, while reducing its firmness due to the higher gas retention. It was found that by including sodium ions in starch molecules, they delay the staling process of stored products. Over the last years flours mixed with oatmeal and barley have been studied, in order to both improve nutritional features and delay the ageing process of baked goods. Another front to oppose the staling of baked goods, in addition or as alternative to substances that are commonly added to the dough (such as hydrocolloids, pentosans, emulsifiers, enzymes and natural yeast) consists in implementing new processing technologies, such as the High Hydrostatic Pressure Process (HHP), films with high water vapour barrier, packaging in modified atmosphere, use of low temperatures. In particular, hydrostatic pressures may change the structural and functional properties of proteins and of cereals starch; they have been studied to improve the quality of baked goods obtained from wheat flour substitutes. This treatment weakens proteins, influences moisture distribution and interaction between starch and proteins, causing a delay of the staling process. Additional studies on ingredients of baked goods have been conducted within the European project “Bake4Fun” controlled by the Department of Agro-Food Science and Technology (DISTAL) of Bologna. The project aims to design innovative bakery products enriched with iron and spelt, to overcome nutritional deficiencies caused by strict dieting or food intolerances. Research developed an innovative microencapsulation technology, which can improve digestibility without significantly increasing production costs. Furthermore, microencapsulated iron present in flours does not give bakery products the typical metallic taste of this element. The Bake4Fun project promoted the recovery of an antique variety of spelt, rich in antioxidants, with anti-inflammatory properties, which can positively influence the glycaemic index. Research does not cover only ingredients, but also production technologies. 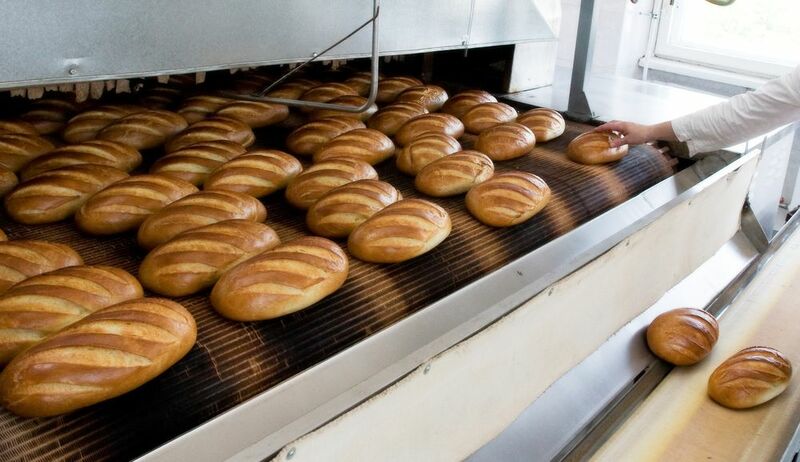 Several companies are developing new systems for the production of bread and roll products from a dough band, ensuring gentle handling of highly hydrated doughs. 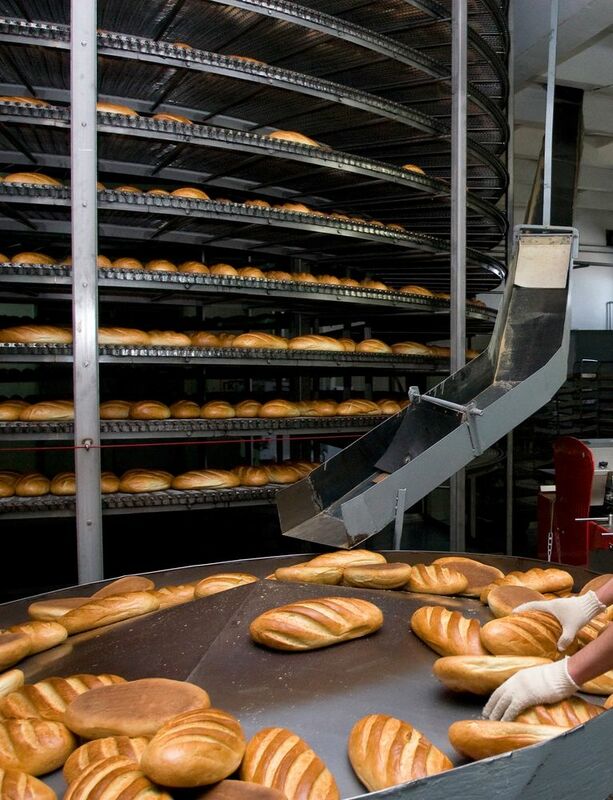 Industrial dough band formers can process all kinds of dough, even with a high water content and long proofing time, obtaining a homogeneous dough band with uniform thickness and width, for the production of bread and rolls with precise weight accuracy. Another issue addressed by the manufacturers of bakery equipment is hygienic design, thanks to which all parts and components can be easily accessed and cleaned, sometimes even with high pressure washing equipment. Production lines are increasingly adopting 4.0 Industry leading-edge technologies that control and display all production steps, detecting any fault condition before a component fails, in order to optimize the line performance and minimize downtimes. These systems are available as stationary application directly on the line control panel or for mobile devices such as mobile phones and tablets. Innovation touches even baking ovens for bread, soft biscuits, hard-sweet biscuits, crackers, deposited cookies, tunnel ovens, chamber ovens; rotary, gas or electric ovens, convention ovens, deck ovens. Among the cooking technologies, infrared radiation is attracting strong interest: this system provides heat transfer without dissipation into the surrounding atmosphere, by convection. Furthermore, it offers high warming-up speed, because the heat transfer occurs at light speed and directly in the cooking area. Other positive issues are energy savings and homogeneous baking. Innovation does not concern only new cooking methods, but also the improvement of existing technologies by means of sensors, automation, specific innovative materials, with special attention for energy saving and homogeneous baking, even at low temperatures. 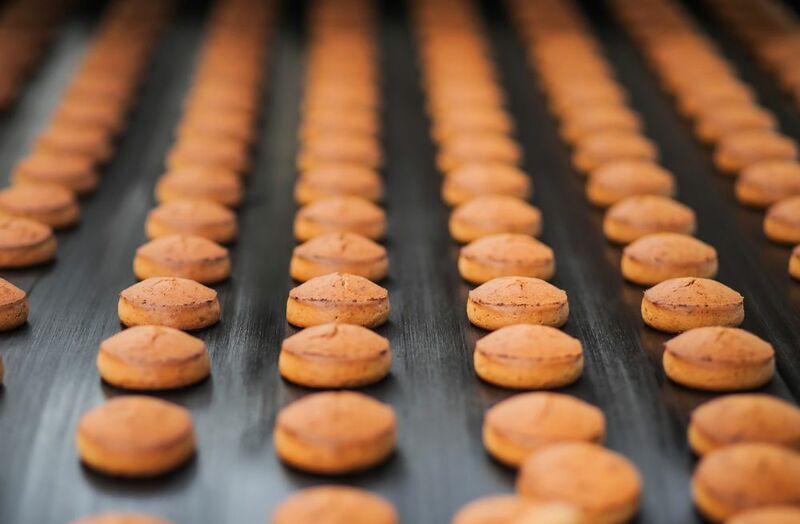 Medium and small companies also require flexible baking systems, with combined ovens for testing innovative baking methods suitable for different types of products. Micro-perforated hotplates allow products to expel the humidity during cooking. By adjusting the height of oven plates, ovens warm up more quickly, for optimized cooking of various products. Smaller convection ovens, designed for public places, feature doors of new design that, when opened, move laterally and disappear inside the oven, drastically reducing the footprint. Even gas ovens are subject to improvements in order to increase the performance of heat exchangers with relevant reduced energy consumption, with the possibility of running on natural gas or LPG. Compactness and minimum footprint are the plus of cyclothermic ovens, ideal for small-medium factories and workshops. Many manufacturers of cyclothermic ovens offer multi-chamber models for cooking different types of products at the same time.